What do Kid Kyoto and Nirvana have in common? A passion for pushing the boundaries and grunge music. “With the lights out, it’s less dangerous”. The team from Sam Prince Hospitality (INDU, Mejico) opened a new restaurant in November with an 80s and 90s vibe. Kid Kyoto brings a punk-rock punch to a modern Japanese menu. The menu consists of fresh seafood and grilled meat share plates with Head Chef Seb Gee (China Doll, China Diner) lending his expertise behind the restaurant’s charcoal grill. Kid Kyoto’s seasonally selected “In Bloom” menu offers guests an izakaya-style experience of modern Japanese culture. 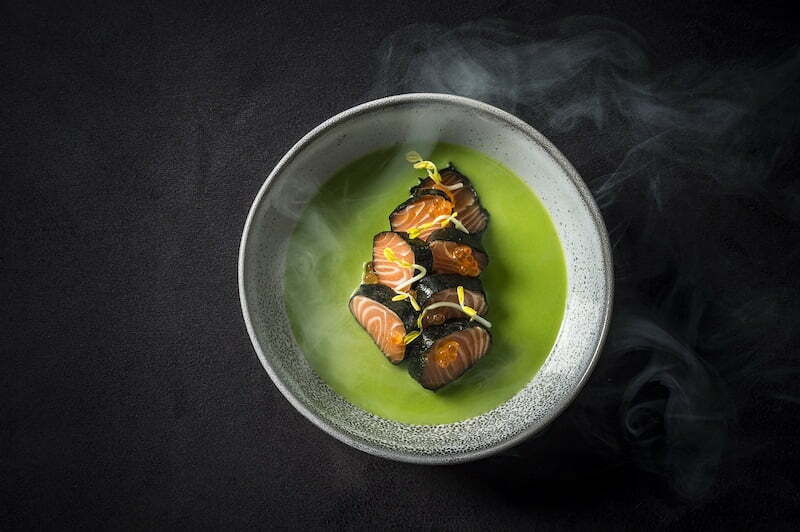 The current menu consists of Blackened Oyster with pickled ginger, umeboshi mayonnaise and kimchi granita, and the Smoking Salmon with wasabi pea and nori. 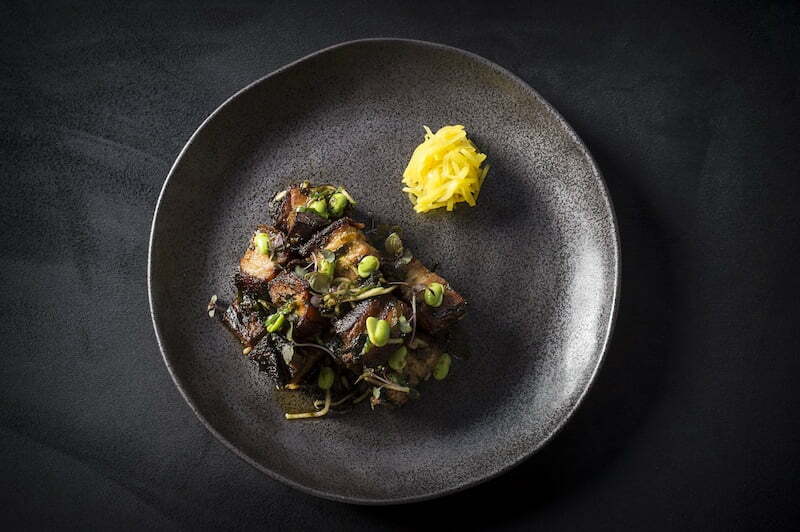 A standout from the main selection is sure to be the Black Hole Sun Pork Belly with nori jam, apple and pickled radish. Rosebery distillery Archie Rose has been enlisted to help craft a inventive cocktail menu. The “Japanese Combo” will pair Campari and Amaretto with coffee infused Beefeater and tobacco syrup. Meanwhile the aptly named “Kid Kyo-tini” will infuse Archie Rose KK blended gin with Junmai sake and even edamame shrub. An extensively selection of wine, craft beer, whiskeys, gins and, of course, sakes will also be poured. Already showcasing their love for inventive flavours at INDU and Mejico, the team at Sam Prince Hospitality Group ventured to Tokyo and Osaka with local Eriko Matsuda to help craft the most authentic modern Japanese experience. Matsuda is the grand consultant behind Kid Kyoto’s ambitious mission to breath punk life into its 120 seat indoor dining room. Although the menu draws inspiration from the trendiest bars and eateries from the streets of Japan, the soundtrack to the Kid Kyoto experience will be the most vital element. A fist pumping blend worthy of its own cassette tape, the Radiohead and Beck tunes sit in comfortable punk rock charm alongside large rock-inspired artwork installations.